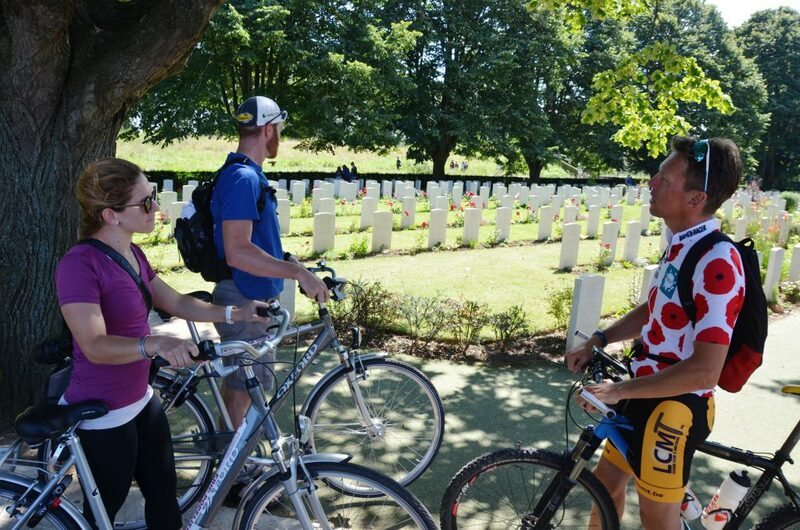 Two American remembrance tourists, Nerea and Richard are nearly on their bicycle and the bitter reality of the Great War is already on our shoulders. As it was part of our military briefing. Faut le faire! On our journey, tourguide Kurt is mixing all the time history anecdotes of the Great War and – on their request – some heroic stories of cycling history, that also is part of this region. 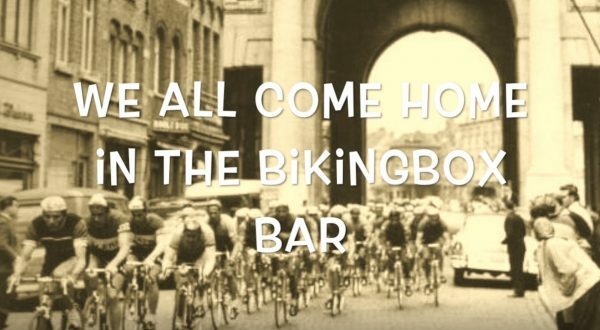 Whether it’s about the tragical lovestory between Edith and lieutenant Charles George Boothby or whether we pass along the former cyclo-cross classic of the seventies & eighties. 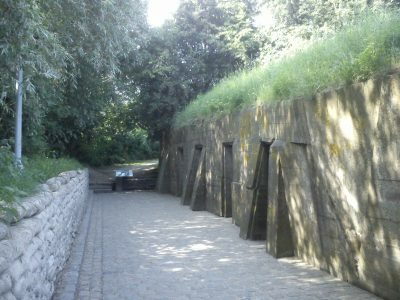 On what’s still surrounded by the German war site at Bellewaerde Safari (now a fun park for kids). “Waaw!” is a common reaction of the audience. 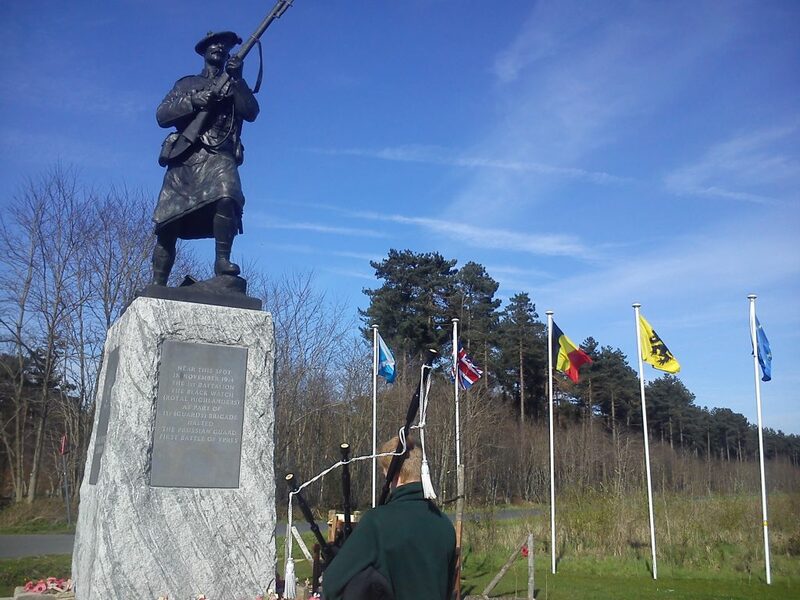 But they as well bring some of their personal stories when crossing ‘In Flanders Fields’. Their military service brought them in Iraq and Afghanistan. 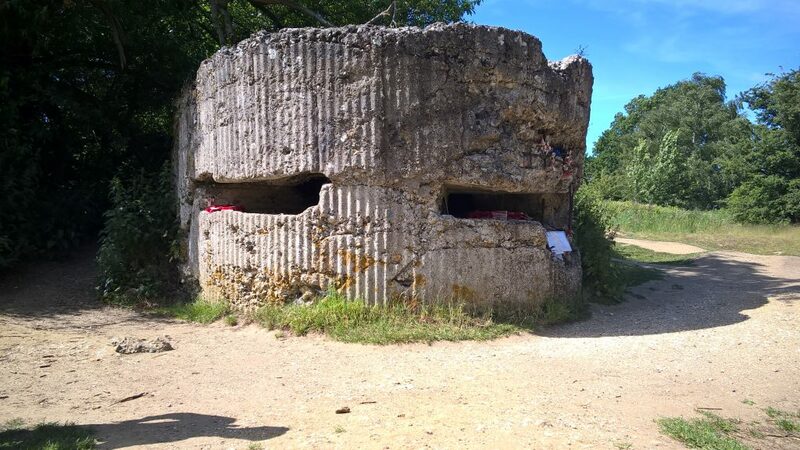 So bitter reality never comes closer to the not to be forgotten history of the Great War than here. Despite the sometimes dramatical circumstances, the sun is shining above our heads. Time to have a drinking stop. And also for our American guests, Belgium turns out to be a paradise of beer tasting. 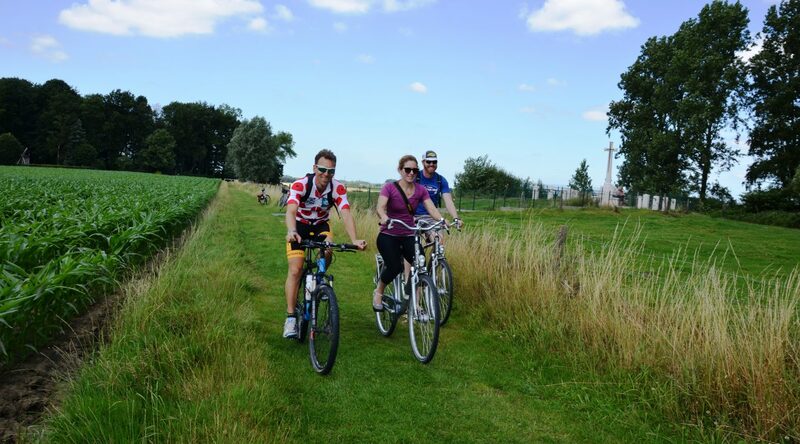 As we climb on our bicycles again, the beer drinking remains a healthy aspect of this experience tour. We are crossing not only history but also clear open air in a beautiful countryside. What a contrast with car- or bustours. No stress at all and you always find the nicest passage way to the next site. No traffic jam, no airco needed. You feel and smell the surrounding area. And you understand the military impact that geography had in the Great War with still a majority of infantery. A little climbing? You feel it while pushing the pedals. But how much more complicated it was for the attacking soldiers to capture such a hill, where the enemy had an excellent defense position. Kurt shows Richard en Nerea the skyline with the “Hills of Flanders”: the famous Kemmelberg and other “mountains” (they are called as such here as the rest of Flanders is mostly flat lowland). Those mountains also have been part of the Great War (the border with France…), but nowadays their reputationis much more peaceful as even our American guests heard about Ghent-Wevelgem and other big international cycling classics trespassing this region. A historical burden because of that war story? 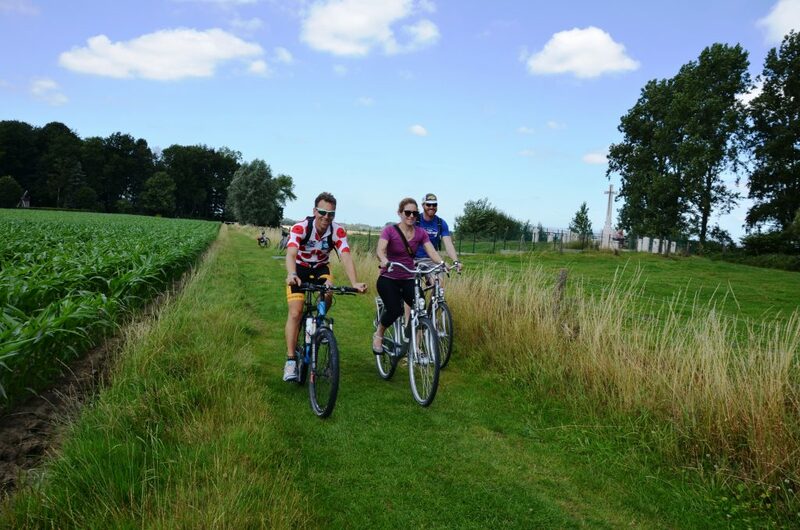 Yes, but for those who focus on the sporting part or who just want to enjoy this beautiful countryside, a pure cycling challenge as well can offer a very satisfying active holiday here. 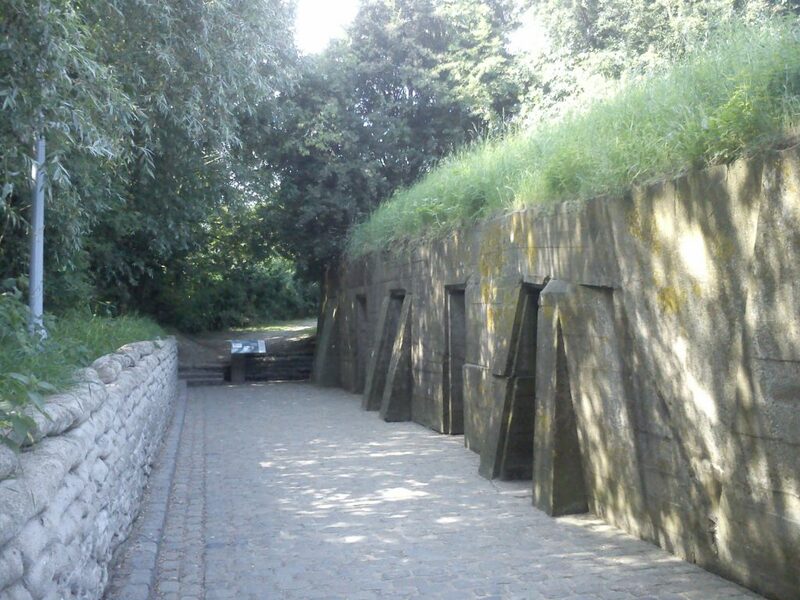 Kurt took his guests for a day-tour around medieval Ypres, up to the John McCrae “In Flanders Fields-poem”-site, across the Yorkshire trenches and up to Hooge Crater and Hill 60. Our finish under the Menin Gate Memorial led us over the big central square with the gothic rebuilt cloth hall and belfry. But you can not see or enjoy everything in just 1 day. So for this reason Biking Box Cycletours offers also more days-tours. The whole weekend or even 3 to 6 days arrangements are on the program. 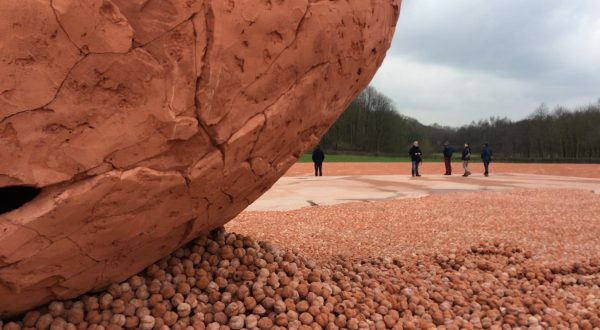 Why not crossing the French-Belgian border and having a taste of cobblestones in Paris-Roubaix? Or a connection between Flanders Fields and the battlefields of the Somme? Our American soldier’s couple is more than satisfied. Big smile and enthousiastic feedback! 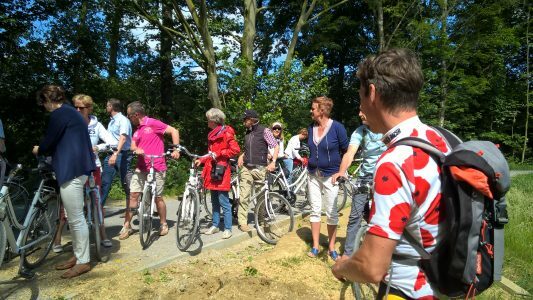 “After visiting Bruges we had a fantastic active and sporting day, while at the same time learning about the history of the Westhoek and its war-past. We thank you so much!” Being journalist, I must agree: the click between guide and guests was real and spontaneous. A logical and natural consequence of one day together on the bicycle.